Published 19th May 2003 by Jon Scaife. Last updated 11 December, 2013 . If you have an icon in the sys­tem tray that is white on a blue back­ground ( ) then you should skip the inform­a­tion on this page — your driver is cor­rectly installed already! Check that you fol­lowed the pre­par­a­tion instruc­tions cor­rectly. Double check that you didn’t make any mis­takes in the main pro­ced­ure. If you have a fire­wall installed on your PC make sure that the Wid­comm Bluetooth soft­ware has unres­tric­ted access — remem­ber, Bluetooth is a net­work­ing tech­no­logy! If you are using a laptop / note­book with an Intern­al device that came with pro­pri­et­ary soft­ware, read the Intern­al devices sec­tion. Some PC Cards are a little tricky to loc­ate a driver for. Read the PC Cards sec­tion. It is pos­sible that Win­dows installed anoth­er driver for you device (such as the Microsoft driver) instead of the Wid­comm driver. Read the Manu­al Install sec­tion. It is pos­sible that your device is not included in the list of devices that the drivers can recog­nise by default. Read the New USB Devices sec­tion. 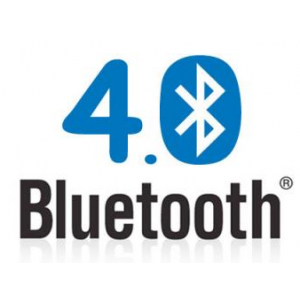 Try remov­ing everything Bluetooth related from the com­puter, and try the pro­ced­ure right through from the begin­ning again. Many people have advised me to avoid Intel­li­Type 5.0 and Intel­li­Point 5.0 drivers like the plague. Unfor­tu­nately, installing the Intelli drivers from the Microsoft CD will install Microsoft Bluetooth drivers, which break the Wid­comm driver install­a­tion. Without the Intelli drivers you will not be able to use the extra but­tons on your key­board or mouse. The solu­tion? Install an older Intelli driver! All the oth­er wire­less key­boards and mice pro­duced by Microsoft have the same or very sim­il­ar addi­tion­al keys to the Bluetooth mouse and key­board. Some laptops require their own soft­ware installed as well as the Wid­comm drivers. Toshiba, and Sony both pro­duce Bluetooth enabled laptops that have a soft­ware “switch” to dis­able or enable Bluetooth. If your device isn’t detec­ted after the main install­a­tion you may need to install the ori­gin­al soft­ware. Open “Device Man­ager”, and unin­stall all of the Toshiba Bluetooth Devices which can be found in the “Bluetooth”, “USB”, “Ports”, and “Net­work” sec­tions. Win­dows should now install Devices. Your Bluetooth Sys­tem Tray should turn white. If the sys­tem tray doesn’t turn blue and white you may still have a Toshiba / Microsoft driver installed. You should read the Manu­al Install sec­tion. The sys­tem tray icon should now be white & blue. If it isn’t, reboot your PC. Did you carry out part 10 of the main instruc­tions? Have you read the Manu­al Driver Install­a­tion instruc­tions? I have a cus­tom driver file avail­able for ver­sion 3 of the 3Com PC Card. Down­load it from the Down­loads page and save it to the main install­a­tion folder (C:\Drivers\WIN\BDCACT\). If you have a ver­sion 2 card, I do not cur­rently know a meth­od of installing these. A firm­ware update may be pos­sible. Every USB device has a VID (Vendor I.D.) and PID (Product I.D.). If your device wasn’t found it is pos­sible that it’s ID is not lis­ted in the Wid­comm driver. The Wid­comm drivers will only install for devices they recog­nise, and they recog­nise devices based on their VID and PID. The install­a­tion file btwusb.inf con­tains a list of USB VIDs and PIDs that the drivers will recog­nise. All USB devices will work with the Wid­comm stack, but the ID’s for some of them are not included with the drivers. If your device is not included you will need to add it. The major­ity of note­books / laptops with intern­al Bluetooth use an intern­al USB solu­tion. If you have a note­book / laptop and are exper­i­en­cing prob­lems get­ting the driver work­ing, you should read this sec­tion, even if you don’t have an actu­al USB dongle to plug in. This meth­od will enable you to find the VID and PID for your USB Bluetooth hard­ware before it has a driver installed. Fill in the form below with the details of your device. After you have suc­cess­fully sub­mit­ted your device details, right click >here and select “save tar­get as”. Save the file into the install­a­tion dir­ect­ory (C:\Drivers\WIN\BDCACT\). Over­write the old file. If you are not promp­ted for a driver and the sys­tem tray icon remains red you may need to start the install­a­tion pro­ced­ure again from the begin­ning using the new file. New device ID’s sub­mis­sion­Please only sub­mit new VID / PID com­bin­a­tions! The Wid­comm drivers should have a nor­mal add/remove option in the con­trol pan­el, regard­less of who sup­plied them. If your install­a­tion has become dam­aged, and for some reas­on you can­not use the nor­mal unin­stall­a­tion meth­od, the details below should help you remove the Wid­comm drivers from your sys­tem. Got some thoughts of your own? Indulge yourself below by commenting! If you would like to subscribe please use the subscribe link on the menu at the top right. You can also share this with your friends by using the social links below. Cheers. I have a BT180 bluetooth dongle i there a way to install it on win7? Doesn’t win­dows 7 just sup­port it auto­mat­ic­ally? start a blog so I will be able to share my exper­i­ence and feel­ings online. Please let me know if you have any kind of ideas or tips for brand new aspir­ing blog­gers. Windows Icons: Full list with details, locations & images (2,019 views)A reference list for all Windows Icons from Windows 7. Includes details, file locations, complete image sets and instructions. Get your old scanner working with Windows 7 x64 (623 views)A guide to several ways to get old scanners working with Windows 7 x64. Also relevant to Vista and Windows 8. Windows Icons: Full list with details, locations & images (142,380 views)A reference list for all Windows Icons from Windows 7. Includes details, file locations, complete image sets and instructions. Get your old scanner working with Windows 7 x64 (89,699 views)A guide to several ways to get old scanners working with Windows 7 x64. Also relevant to Vista and Windows 8. Fix Windows Update or Service Pack error 80073712 (29,887 views)Quick guide to resolving error 80073712 when running windows update or installing a service pack. Applies to Windows Vista, 7, 2008 & R2. Download TV episodes automatically with SickBeard (13,146 views)Download TV Episodes for free: A step-by-step guide to installing and configuring SickBeard to automatically download TV series from torrents.